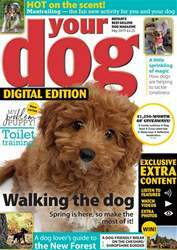 Check out the November issue of Your Dog Magazine where we’re starting a new series featuring different activities to try with your dog. This month it’s geocaching — a great way to explore, have fun, exercise, and spice up your dog walks. Teach your dog to tidy up — now he can put away his own toys! Why dogs don’t get on. 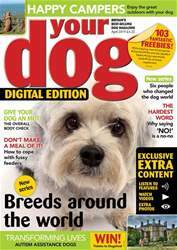 Behaviourist and trainer Carol Price explains why some dogs just don’t see eye to eye. Take control, says top trainer Tony Cruse, and heading off for a trip to the park can be a calm and relaxed experience. RSPCA inspector Justin Stubbs explains why if he won the lottery he would still be doing his job. Discover the majestic Scottish Highlands as we continue our search to find the most dog-friendly places in Britain. Trainer Jordan Shelley, whose appearance on ‘The One Show’ three years ago sparked controversy, explains how he’s had a change of heart. Dogs who escape can cause trouble for the neighbours and for themselves. Trainer Carolyn Menteith and legal expert Trevor Cooper outline the implications and advise on what to do about them. 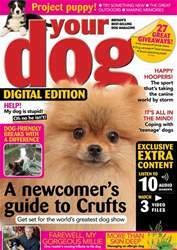 10 top tips to help you find a lost dog. Train that brain! We put interactive toys to the test. 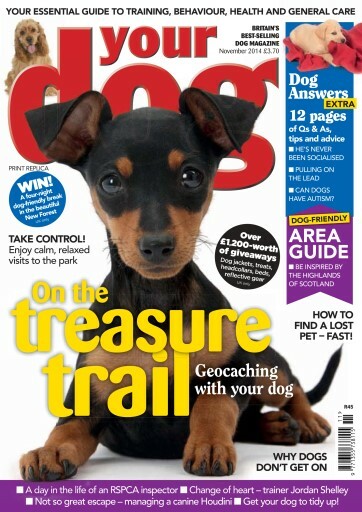 All this and more in the November issue of Your Dog Magazine — out now!